Some of the biggest consumers of Brazilian meat have suspended imports over allegations that companies have been selling unsafe produce for years. Experts say the changes in the young market illustrate not so much a lack of passengers, but the rush of airlines into new territory with an abundance of seats the market could not possibly fill. A Canadian company called PharmaCielo, with the government’s approval, is working to produce the drug legally in Colombia and is looking to hire. Bitcoins are increasingly accepted online for buying real-world goods and services. And, unlike the Venezuelan bolivar, the virtual currency has been going up in value. Most successful young entrepreneurs in Latin America. 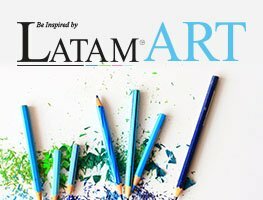 For its first issue of 2017, Americas Quarterly (AQ), dedicated 35 pages to highlight Latin America most successful business stories, describing the region as the world’s most entrepreneurial culture. Could Venezuela be a top truism destination? 10 Mexican products in United States that could be affected by Trumps policy. During election, Trump promised that Mexico would pay for the wall but since Mexico has refused to even consider on paying, there was only one way to go, the imposition of a 20% tax on imported goods. Mexican politicians are saber rattling against the US agriculture sector, and it looks like Argentina is ready to fill the gap. The Uruguay-Mexico Joint Cooperation Fund unveiled a project on Tuesday for supporting entrepreneurs via the creation of a Mexican-tested website open to founders of new businesses. International tourist arrivals to Chile reached a historic high last year with 5.64 million visitors in 2016. Petroperu may issue bonds to finance the $3.5 billion Talara refinery upgrade as the state oil firm looks to expand operations after key structural changes. This week’s question: Have you ever been to Cuba? Do you plan to go? Why or why not? Argentine state oil company YPF on Monday signed a 40-year natural gas exploration contract with Bolivian counterpart YPFB for an area with reserves estimated at 2.7 trillion cubic feet. Cubaexport was the company that signed an international contract with the North American company Coabana Trading LLC; the two companies recently signed a formal agreement on coal export.